Did you know there are fewer than 175,000 farmers in the United States who farm 1,000 acres or more? If you look at that as a percentage of the U.S. population, that’s about 0.05 percent. In other words, 1 out of every 2,000 Americans farms 1,000 acres or more. Why is this concerning to me? The fewer farmers we have, the fewer people there are who truly know all the good we are doing. Unfortunately, rather than getting their ag information from farmers, most non-farmers hear about modern farming practices on TV, radio, newspapers and the internet. Most of those journalists didn’t grow up on a farm, and they don’t know much about what we do to produce crops. The United States has the safest, cheapest and most abundant food supply in the world, not to mention perhaps the safest drinking water supply. That’s thanks in large part to the American Farmer. In order to bring more awareness to this, we at Ag PhD have something special we’ll be doing on New Year’s Day. Over the last nine years, you may have seen the RFD-TV floats in the Tournament of Roses Parade in Pasadena, or you may have seen RFD’s coverage of the parade on their network. For this coming year, we at Ag PhD have been selected to have a float in the parade, as we will be celebrating our 20th year on TV in 2018. 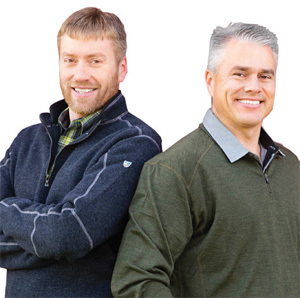 Ag PhD has aired a brand new, half-hour TV show every week since April of 1998. That’s more than 1,000 new episodes. As someone who has attended the Rose Parade once before, seeing the parade in person is an amazing experience. If you have never done it before, I encourage you come out to Pasadena to see us! Being able to see the floats up close gives you a new appreciation for the thousands of man-hours that go into the design, construction and decoration on each float, as each one is covered with thousands and thousands of flowers and other plants. The weather is beautiful, and I can promise you it would be an unforgettable experience attending the parade. If you are unable to join us in Pasadena, I encourage you to watch the parade on RFD-TV, as they will have more coverage of the Ag PhD float, compared to the other networks. 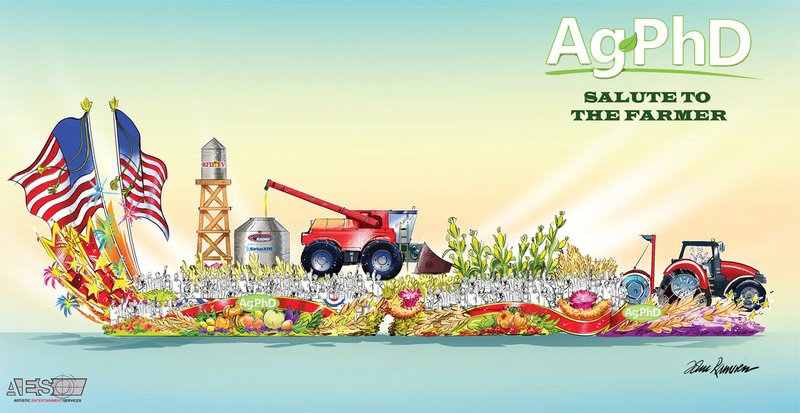 The theme of the 2018 Ag PhD float is “Salute to Farmers.” If you are a farmer, THANK YOU for all you do for our society!